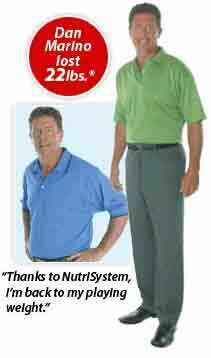 Strength Loss on Nutrisystem: Diet Causing Strength Loss? I've been working out all my life I am 41. I have made pretty good gains benching 330 for a max and squatting 400. I have noticed over the last year though my weight got up to 205 and 210 which I thought was a little heavy since I am only 5'7" tall. So I recently decided to go on Nutri-System to lose some weight. The problem is since I went on this diet plan my lifting has suffered and went down. My bench is down a rep or to on every set everything is much harder. I'd like to know if this is from the diet and what I can do about it. I want to get my body fat down but not at the expense of losing my hard earned strength. Do you have any suggestions or pointers for me. Working out has become not so fun anymore and I honestly don't want to lose sight of my goals. Eccentric training or negative training is a great way to increase strength and size. The catch is, all forms of weight training favor an increase in size and strength if performed properly in addition to proper rest and diet. As with all different styles of training, your lifting must be consistent with your goals. Since your body can handle a heavier load during the eccentric phase of an exercise, eccentric training is the best way to increase strength. Will it increase just eccentric strength or overall strength? This depends on the way you train eccentrically. If you use heavier weights than you can handle concentrically (positive part of the motion, lifting against gravity) you will definitely cause your body to increase strength. If your eccentric training consists of using weights of moderate intensity (less than 80% 1RM) you will most likely not increase strength. If this is the style of lifting you do, it could be the best way to increase muscle mass. Remember, to increase muscle mass along with a hyper-caloric diet, you need high training volume. The lifting phase is insignificant to the time under tension. With regards to training volume and hypertrophy of muscle, a 1 minute set is a 1 minute set. You can read about it on this weight training volume page. 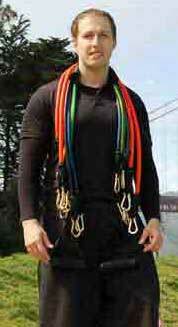 The bottom line is, if eccentric strength is what your goals is, focus on it. If overall muscle development is your primary goal, focus on a balanced program using a variety of training modalities and have a diet, rest, and supplement regimen consistent with your goals. It should be noted that heavy eccentric training has been associated with increased potential for injury. It is recommended that negatives only be performed once a week at the most. The fact that you gained a little extra weight while building your strength to their top levels suggests you were in a mostly hyper- caloric diet situation meaning you consumed more calories than you expended on a daily, weekly and monthly basis. While this had the negative effect of putting on some extra body fat, it supplied your body with the necessary fuel to gain levels of muscle and strength that would not have been possible otherwise. In all likelihood, the levels of strength and muscle mass you have obtained are beyond what your genetic coding planned. While lowering your caloric intake on your fat loss diet you are naturally losing the "excess" strength you obtained while consuming excess calories. While some fitness and nutrition gurus may claim that it is possible to keep maximum strength while on a drug-free hypo- caloric (fat loss) diet in reality it is likely that you must make a choice between the two. Your main issue is more psychological than physical. What is more important to you? Would you rather be able to be able to bench press more than your friends or would you rather look better on the beach in a swimsuit? Not to say that every person is the same or you are not an exception but the genetics of most people who are 5'7" tall would not have them naturally being over 200 pounds or being able to bench and squat such heavy weights. 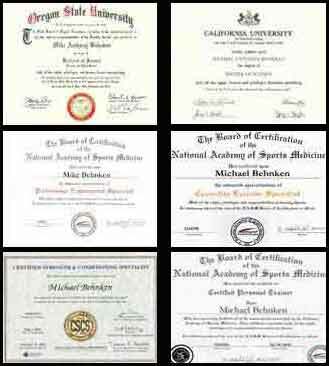 Of course your training can get you to a certain level but maintaining these levels you have obtained for the long-term is probably not something which is going to happen. This leads to the fact that you will eventually have to make a choice of what you value more. Do you want to gain/maintain maximal strength levels or do you want to maintain a possibly healthier, more aesthetically desirable appearance? If strength and muscle size is more important, the Nutri-System diet plan is just not going to cut it. If losing the extra fat is more important, you should just stick with the nutri-system program until you meet your goal then you could attempt to gain the strength back while not putting on extra fat. In all likelihood, the Nutri-System diet plan was not designed with keeping maximal strength in mind. It is a balanced, hypo-caloric diet designed for people to healthily lose weight for the long term. As mentioned before, losing maximal strength is more about overall caloric intake than individual nutrients but changing nutrient timing may help. For each workout (think short term), make sure you have eaten a good complex carbohydrate 90-30 minutes before exercise and properly replenish your body directly after a workout with a carbohydrate protein mix. Liquid post-workout supplements such as After Max or the "workout recovery" products in most gym coolers work best here. Long term muscle maintenance is a different story. Larger muscles will be stronger than smaller muscles so your long-term nitrogen balance is key for maintaining your muscle tissue. 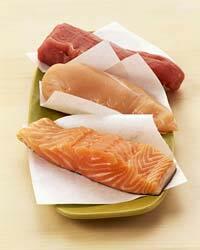 You may want to add some lean proteins in your diet. The extra protein will not affect your blood sugar like extra carbohydrates would, and possibly help you maintain at least a nitrogen balance which would help you maintain your muscle tissue. Obviously the extra protein must be lean containing very little excess calories from fat. This is where whey protein supplements would definitely come in handy. Keep in mind that even protein can be converted to body fat so you may want to start off with little extra protein and see if it helps you maintain your long term strength and muscle mass during your fat cutting Nutrisystem diet. This answer is not meant to devalue strength but it brings up a common issue for many people which is a conflict of interests. Getting anything accomplished efficiently in life requires focus. This especially holds true in the world of health and fitness and especially body composition. Once you weigh the pros and cons of each goal you can choose a primary goal. Once focus and hard work help you achieve your primary goal you will be able to set a new goal without looking back. The Only Goal in a Fitness Program should be to Set New Goals!